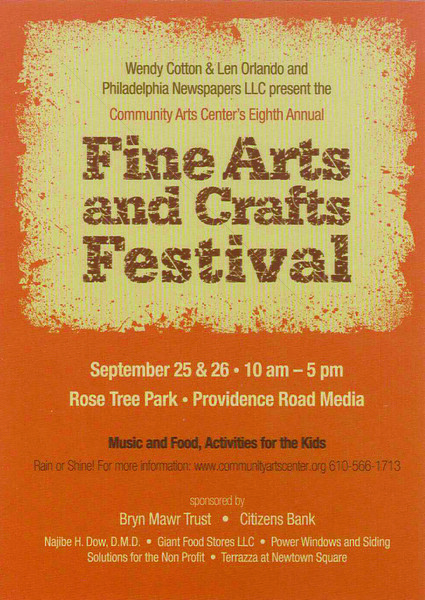 I will be exhibiting at the Fine Arts and Crafts Show in Rose Tree Park in Media, PA on September 25 and 26, 2010, 10 am - 5 pm. On Sunday at 11 am, come visit as I demonstrate my technique for creating the polymer clay designs used in my pieces. The demo takes place in the artists demonstration tent in the central area. This show, sponsored by the Wallingford Community Arts Center, is located on Route 252, Providence Road, in Media, PA.